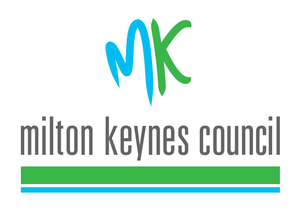 Following a 4 week consultation period between 22 June and 20 July 2016, Milton Keynes Council has designated the Emberton Neighbourhood Area on 21 July 2016. Emberton Parish Council have adopted the draft plan produced by the steering group. The council are now required to carry out six week consultation on the draft plan (Regulation 14 of the NP Regulations). The consultation will commence on Monday 4 February 2019 and run until 18th March 2019. Copies of the plan will be delivered to all houses in the parish and is available to view here. Comments headed Neighbourhood Plan Consultation should be emailed to plan@embertonparishcouncil.co.uk or you can write c/o The Parish Clerk. The consultation will end on 18th March 2019 at the Annual Parish Assembly - providing you with the opportunity to bring your comments to that meeting. In addition, we are planning on two drop in sessions at the Pavilion on Friday 22nd Feb @ 6pm and Saturday 23rd Feb @ 10-30 where the plan will be on display and members of the steering group will be available to answer questions. At the end of the consultation period the Steering Group will collate the consultation feedback and recommendations for consideration by the Parish Council which may lead to amendments to the draft consultation plan. This will be submitted to Milton Keynes Council (MKC) who will undertake a 6-week consultation process and arrange for an Inspector to undertake a Neighbourhood Plan Examination which is expected to take a further 6 weeks. The Inspector will produce a report on the proposed plan for the Parish Council to consider and make any necessary amendments. The final step of the consultation process is to hold a referendum for residents which is expected in early June.